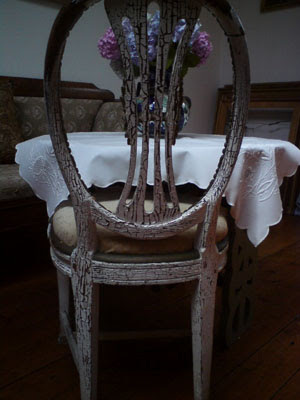 See how time has worn on this sweet antique chair I found in Anna Anchers house in Skagen. The real thing is better than the made, cool structure. look at the great texture..
Hei! :) Takk for hyggelig kommentar, og det er bare hyggelig at du linker til meg! Flott blogg du har, og dette bildet var jo helt nydelig!